David McCandless spans the beauty of Data Visualization to view how the media intensifies the ‘World’s Greatest Fears’ from the Columbine shooting and swine flu to asteroid collisions and killer wasps. He also analyzes 10,000 Facebook updates looking for the words ‘break up’ or ‘broken up’ to paint a data visualization picture of when the peak break times are throughout the year. Spoiler alert: Easter and 2 weeks before Christmas. 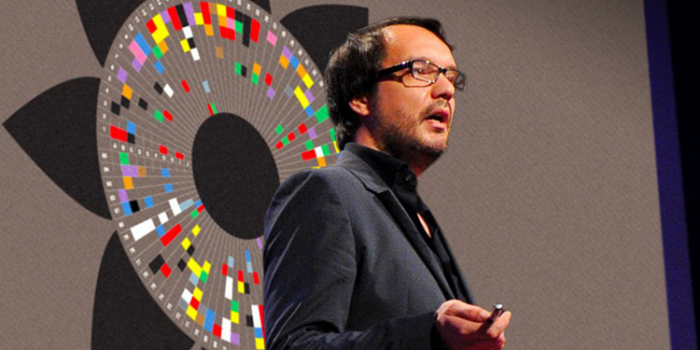 David applies Data Visualization ideas and concepts, well beyond data and numbers in the TED Talk.